GTO is a big buzzword in poker these days. The letters stand for game-theory optimal. The basic idea of GTO analysis is that no-limit hold’em can be treated and solved like a math problem. Somewhere out there in mathland, there is an optimal strategy for no-limit hold’em. This strategy cannot be beaten, and it will beat anyone playing a non-GTO strategy. If we could determine this strategy and program a computer to play it (another feature of GTO strategy is that it does not adapt to opponent play), this computer would be unbeatable. We, as poker-playing humans, are nowhere near to determining the GTO strategy. But some of the more mathematically inclined players have made attempts to characterize approximations of the GTO solution for common scenarios. In other words, we have no idea what the precise strategy might be, but we can, for instance, solve that the GTO strategy must involve raising with exactly 57.8 percent of hands in one particular, contrived scenario. When most people think about GTO, they think about it in the computer way. If they could just program themselves to play as close to as possible GTO, then they would beat all comers. This is perhaps a useful way to approach no-limit hold’em if you play in the very toughest, very biggest online games against the half dozen strongest players in the world. But you don’t. You play in smaller games against players who make many errors. And the problem with trying to play like a GTO robot in these games is that, while it this strategy will win plenty, you can win even more if you adopt counter-strategies tailored to exploit your opponents. 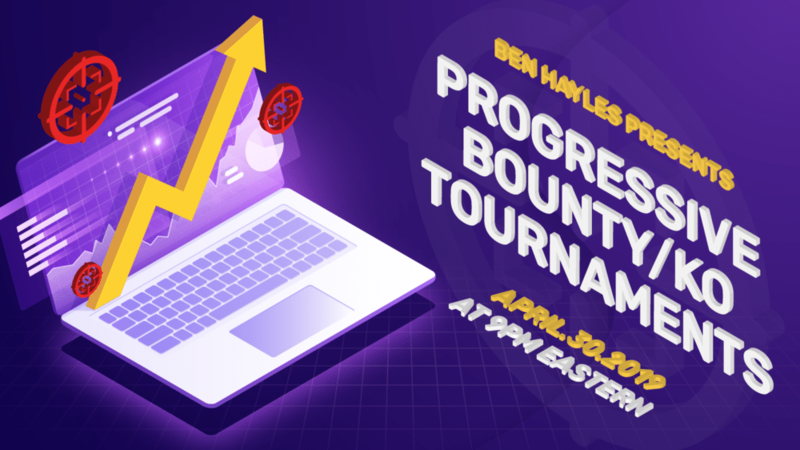 And with live poker running at a snail’s pace, you can’t give up these exploitative advantages and expect to be happy with your hourly winrate. So many live players dismiss the whole GTO thing. “It’s for online guys,” they say. But I disagree. While I would never recommend a live player try to sit and play like a robot, I believe that the more you understand GTO, the better you can craft exploitative live strategies. And furthermore, the more you can avoid getting yourself exploited by others. A bet shows an automatic profit if your opponents all fold more frequently than the pot odds you give yourself. For instance, if you bet $100 into a $100 pot, you are giving yourself 1-to-1 odds, and therefore if your opponents fold more than 50% of the time, your bet shows an automatic profit. Because checking can also have value (because in most cases your equity in the hand doesn’t go to zero), it’s not a slam dunk to bet when you have an automatic profit. 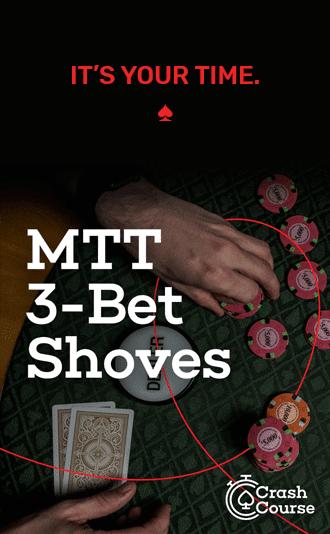 But, in practice, you should bet most of your hands in any autoprofit situation. In live games, autoprofit spots arise all the time. They are created because people play weak ranges preflop, and the weakness carries forth through the flop and turn. Since you get to choose your own pot odds (by sizing your bet), it’s extremely common to be able to create an auto-profit situation for yourself—even against players you might think of as calling stations. When mathematicians attempt to derive GTO or GTO-approximate strategies, they often rely on the idea that in many situations an optimal strategy cannot produce autoprofit spots. 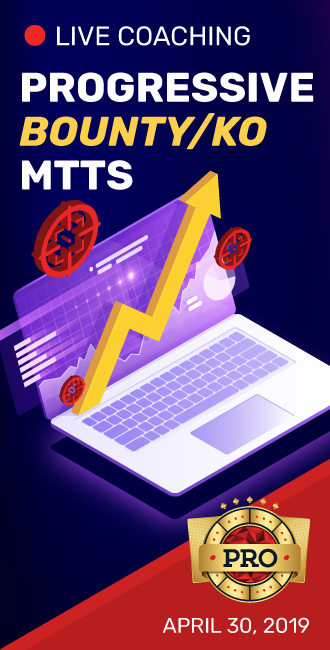 That is, in many circumstances, you can safely assume that any strategy that produces an autoprofit spot for your opponent cannot possibly be GTO. An optimal poker strategy should not be beaten by someone who just bets or raises all hands. If you study GTO strategies, you will soon learn what autoprofit spots look like—and how easy they are to create if your opponents don’t craft their strategies with precision. While an optimal opponent cannot be beaten by betting all hands, many (if not most) live players can indeed be beaten exactly that way. So, naturally, this is similar to the last one, but these spots are both trickier to find and more rewarding. Many of the autoprofit betting spots are fairly obvious once you get used to the strategy. Your opponent checks to you, and you bet. Raises are always trickier because you are attacking strength—at least you are attacking represented strength. But just because an opponent bets doesn’t mean that he’s committed to stacking off. The more“solid a live opponent is, the more likely, in fact, that your opponent will be willing to fold to a raise. Want even more? We have a complete podcast episode about GTO! Once you do some work on GTO, you will see actually how difficult it is to create a betting strategy that is both appropriately aggressive and able to defend itself satisfactorily against a raise. It’s a tightrope. The more hands you bet (in an attempt to be aggressive), the weaker your betting range becomes, and the harder it is to respond to a raise without conceding an automatic profit to your opponent. There’s an excellent chance that you presently fold multiple times per session in spots where you would instead show an automatic profit if you raised any two cards. Experience with GTO derivations and strategies will help you to identify these situations. As I said above, it is difficult to straddle the line between aggression and protecting yourself from aggression. This is why so many TAG players struggle at first when they move up to $5-$10 and $10-$20. At lower levels, live players are used to their postflop aggression going unpunished. They offer autoprofit raises to their opponents right and left, but very few actually seize the opportunity. At higher levels, postflop aggression ramps up considerably. Even the recreational players are much more aggressive. And though they may not be logically analyzing your strategy looking for vulnerabilities, you will run into plenty of otherwise unsophisticated players willing to test you with turn and river raises. If you aren’t used to it, you will fold to these raises too frequently, and you will be the one getting exploited. If you ever feel lost against LAG players—recreational or professional—then you should spend some time looking at GTO. This will give you a much clearer idea of how you need to construct ranges to protect yourself against these player types. GTO is the hot topic these days, but in my opinion most people misunderstand both what GTO means and how and why to study it. If you are a live player, you may feel like playing an exploitative strategy is better than an attempt at a GTO-like strategy. If you feel that way, you’re right! But that doesn’t mean you shouldn’t study GTO. Quite the opposite. I think you should study GTO ideas because understanding them will give you a much better ability to find truly devastating exploitative strategies that go beyond the tricks you’ve learned already. If you’re new to these ideas, I recommend my most recent book, Poker’s 1%. To be clear, this book is not about GTO, since any examination of GTO is by its nature a mathematical exercise, and there is little to no math in Poker’s 1%. But the book lays down a framework of ideas that will help you to understand the true GTO work that is available from authors like (among others) Matthew Janda and Will Tipton. I hope I’ve convinced you that learning about GTO can help take your live game to the next level. Ed’s book is now also available as an RCP video series. You can buy it through this link. Ed, I bought your book (and read it!) and I really enjoy using Flopzilla to analyze hands the way you describe in the book. I feel that this is taking my understanding of The Game to a whole new level. GTO article is very interesting. On to more research. The best thing about your articles like this one is that they stimulate my brain to look at poker from new and different ways. Thank you. And what about the dudes and women who let you hang yourself with GTO. GTO people are easy to spot so you set them up. Slow play, Limp big pairs, check when the flop hits you with hidden trips or better, do not bet out on 4th street when they have nuts, keep varying their bet size, and in general turn your strategy into a losing situation because of their intuition and reading skills. Serious question and not trolling. Beware, good poker players have a strategy, it varies from hand to hand, player to player, bet to bet, and card to card on the flop and varies upon numerous variables, within seconds or minutes. I believe Doyle Brunson when he says poker is TTTTTTOOOOO complicated for a fixed strategy or even a loosely fixed strategy. Robert, I think you’re confusing GTO (Game Theory Optimal) with super-LAG (very loose aggressive). Those are not the same concept at all. All your strategies (slow play, play strong hands passively, etc.) are designed to take advantage of people who bet/raise/continue too far with weak hands (ultra LAG). That type of player is not in balance. That’s not at all what GTO is about. It’s about finding balance in your game. The super LAGs you think he’s talking about are not in balance, which is why you can exploit them. You should really learn more on what GTO is. Your comment that good players vary strategy from hand to hand and player to player is what’s called exploitative playing. You change your strategy to exploit the mistakes of others. But all are dependent on a guess about the GTO starting point. I mean say you find a player who is “playing too many hands,” or “this guy bluffs too much,” etc. Ask yourself this: too many hands compared to what? Bluffs too much compared to what?? GTO seeks to answer those questions. In many ways, GTO is the starting point of being a good exploitative player. You have to know the GTO (optimal = right amount) to know if someone is doing something too often or not often enough. Sidenote: I do find it odd that you described having a strategy that never bets, but also keeps varying their bet size? How does that work?? And if they always check/slowplay with their strong hands, you should always bluff raise any bet they make, regardless of its size. If they had a strong hand, they wouldn’t be betting.